Ram Type: The addition of memory is not supported. An accelerator for the A1000 which plugs into the CPU socket. The PAMC-1000 includes a kickstart ROM socket for placing the ROMs on the accelerator. This allows the A1000 to boot without requiring a kickstart disk, therefore freeing up 256K of memory, normally reserved for the Kickstart, to be used as Fast RAM using the provided AddMem utility. However, if you do install a ROM onto the accelerator, you are required to make some modifications. You must remove the original "boot ROMS" from the A1000's motherboard. You must desolder the PAL Chip (PAL 16L8A-2CN) from the A1000's daughterboard and replace it with a newer chip which was supplied with the accelerator. This chip was also supplied with a socket, which should then be soldered to the motherboard and the chip fitted into the socket. The new PAL is backwards compatible with the old PAL, so you can return to your original configuration if you wish. Lastly, a jumper block must be soldered to the two solder pads adjacent to resistor R9. You cannot use Kickstart ROMs unless these modifications are performed. 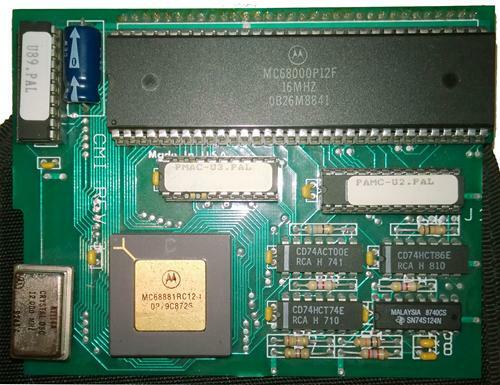 The card can be set to either 14Mhz or 7Mhz using the software provided (PA), dropping to 7Mhz is to help with any compatibility problems with old software. Replacement Workbench 1.3 maths libraries (providing you are using WB 1.3) are supplied to take advantage of the FPU if one is fitted. 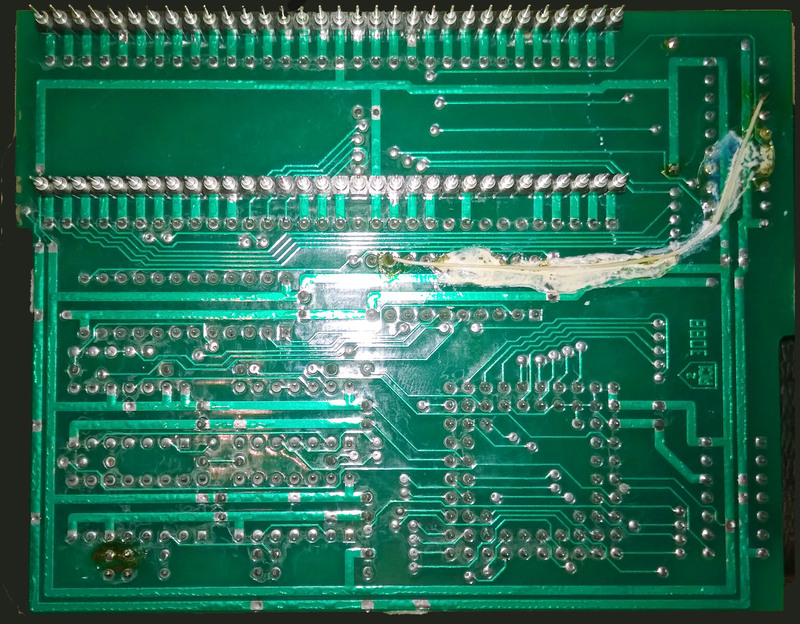 When the two jumper pins are shorted, the accelerator runs in "Fast ROM" mode where the Kickstart ROM is accessed with a reduced number of wait-states when the processor is running at 14Mhz. Page contributors: Derek Johnson, Michael Mellendorf, Ron Mascaro.